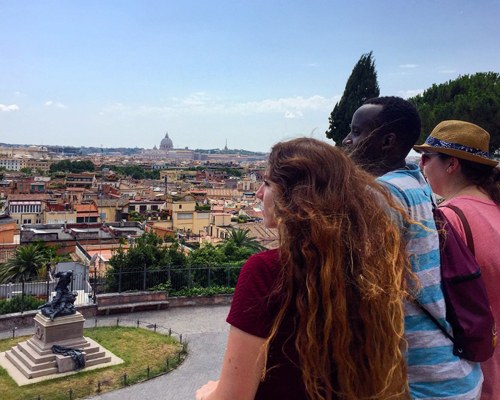 Each semester, a group of Walsh students has the opportunity to travel to Rome, where they're able to stay on Walsh's beautiful campus in Castel Gandolfo, the town in which the Pope's summer palace is located. Students will participate in classroom lectures as well as site visits throughout Rome and weekend excursions to Italy's other great cities. Learn more about the Rome Experience here. Seeking to complete your internship, student teaching, or clinical experiences outside of the country? Walsh University Office of Global Learning provides a perfect gateway to complete your necessary curricular experience in an international, cross-cultural setting. 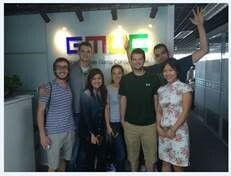 Walsh University identifies global partners that facilitate these internships and opportunities. Internships are located Worldwide! (Featured Locations: Shanghai, China; Sydney, Australia; Buenos Aires, Argentina; Rome, Italy; and London, England). 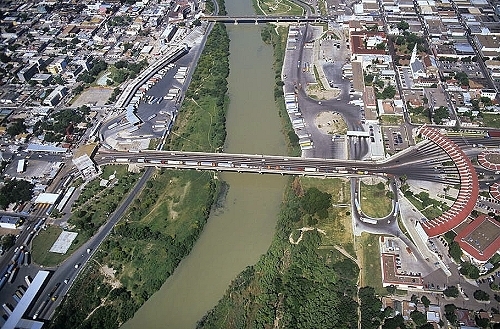 Community of Laredo and across the border in Nuevo Laredo, Mexico. 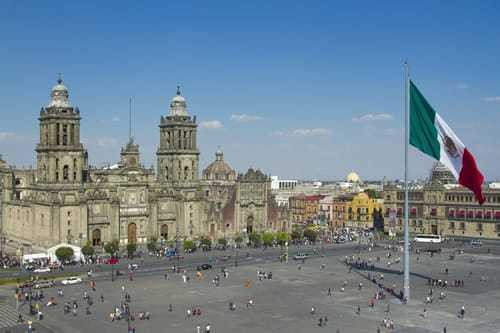 Explore aspects of Healthcare in Guadalajara, Mexico over Spring Break 2018. Learning alongside students and faculty from one of Mexico’s most respected Catholic Universities, Universidad del Valle de Atemajac (UNIVA), Walsh students, led by Dr. Megan Donaldson, will develop a deeper understanding of the state of healthcare of one of the US’s closest neighbors and ally. This transformational program aims to promote the engagement of visiting students with a vulnerable Mexican community seeking to improve their living conditions. 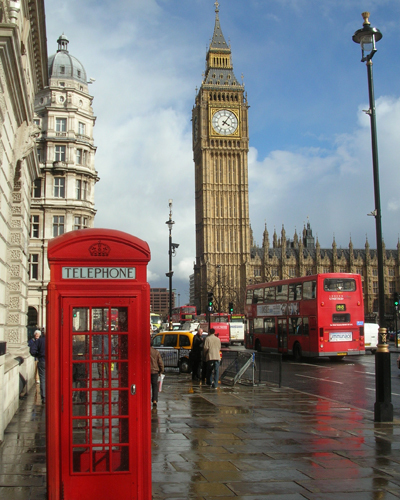 Through Walsh University's partnership with the Cooperative Center for Study Abroad (CCSA), students have the opportunity travel to London. CCSA is a consortium of 23 American colleges and universities, which offers study abroad programs and internships in English-speaking regions. CCSA offers programs over summer and winter breaks. Learn more about the CCSA here. 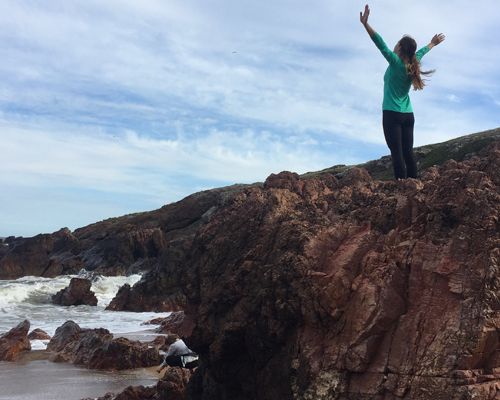 Students and faculty travel to Maldonado Nuevo, Uruguay, where they spend time with the Brothers of Christian Instruction. During their time in Uruguay, students explore what it means to live out the Brothers' mission and work with students in their youth center. This service learning experience for education majors provides Walsh students the opportunity to take responsibility for the children's daily activities with an eye toward encouraging students to continue with their education, learning functional English, and supporting the youth center’s activities as needed. 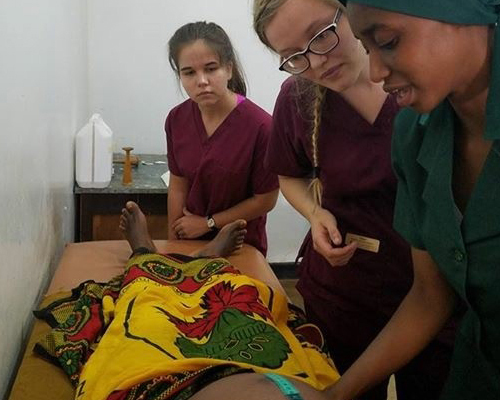 Students and faculty in this program explore the state of healthcare and nursing education in Tanzania while working alongside Tanzanian nurses and nursing students in this practical, cross-cultural experience. In addition to visiting hospitals and clinics, the group explores life in town of Moshi, the hills of Mt. Kilimanjaro, and other natural splendors. 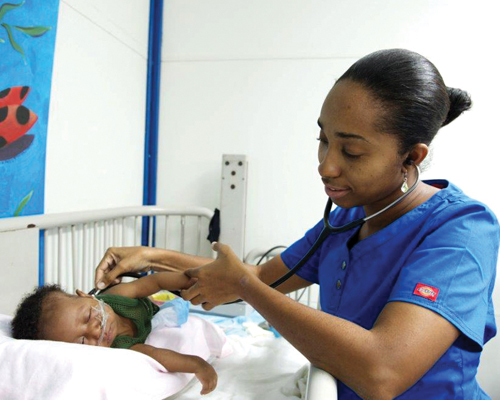 Senior nursing students and faculty work in conjunction with Akron Children’s Hospital in Port Au Prince, Haiti. During this experience students participate in clinical rotations with St. Damien Pediatric Hospital and St. Luke’s Adult Hospital. Past students have had the opportunity to observe a pediatric heart surgery, work with Haitian nurses and nursing students and learn from surgeons around the world. The Office of Global Learning and the Byers School of Nursing send students and faculty twice a year to Haiti. Students embark on a journey of faith with Walsh President Richard Jusseaume and First Lady Theresa. 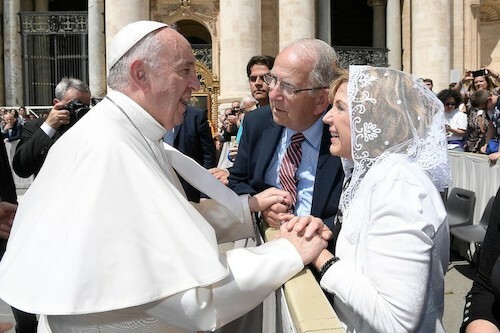 The group travels to Rome, Italy, and Medjugorje, Bosnia, for this Pilgrimage that combines the benefits of studying abroad with a unique focus on the Catholic faith. During the trip, the group will visit and celebrate Mass at several devotional sites. Click here to learn how the 2017 President's Pilgrimage impacted students Mike Bernal and Victoria Ulmer. Since 2007, students and faculty have been visiting central and northern Uganda for study, research, service, and the sharing of culture. 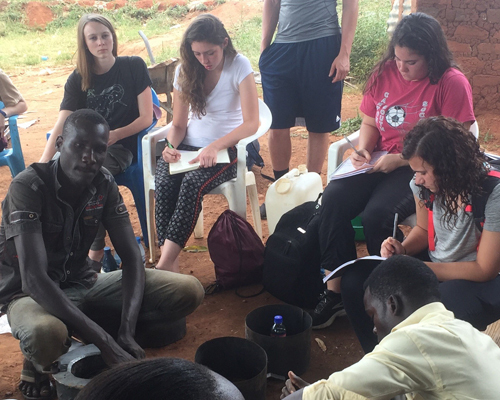 Considered Walsh's most immersive program, Walsh students have the opportunity to live and work with Ugandan counterparts at Kisubi Brothers University College near Lake Victoria and the Archdiocese of Gulu in the north. Students and faculty will travel to Eastern Europe to Austria, Slovakia, and Hungary where they'll explore economies and cultures that were once former Soviet states. Learn about the reemergence of cultures and economies going from capitalism, to communism, back to capitalism. Walsh will partner with the Catholic University of Ružomberok for this once-in-a-lifetime experience! If you're interested in learning more about any of the above trips or other opportunities available through Walsh University's Office of Global Learning, please submit your information below. What trip(s) do you have interest in?